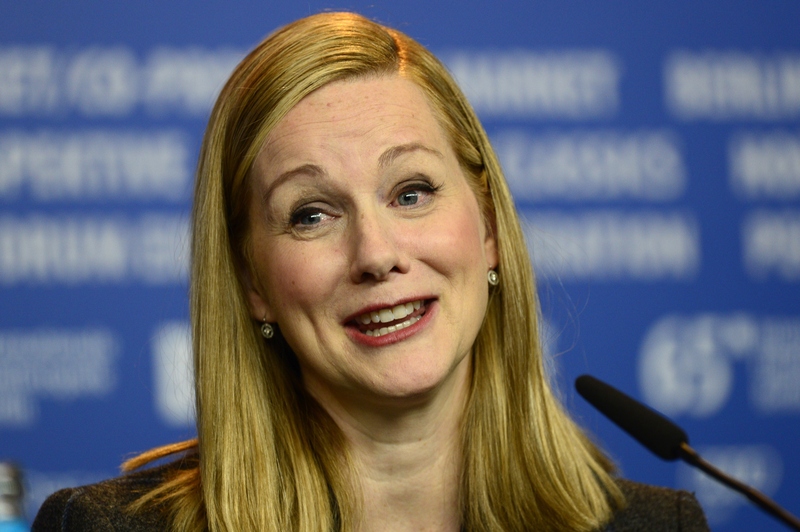 Without a doubt, Laura Linney is one of the best actresses of her generation. She's appeared in over 55 films and TV shows since her career began over 20 years ago and you can pretty much guarantee that if she's in something, it's probably pretty good. One thing she's avoided up until now is taking part in too many big Hollywood blockbusters. That's all about to change, however, as Linney is joining the cast of Teenage Mutant Ninja Turtles 2 in an as yet unknown role that producers seem keen to keep under wraps for some reason. While her presence in a film about humanoid turtles that do martial arts and eat pizza is unexpected, it's certainly not unwelcome, and it got me thinking: what other actors would be amazing in TMNT, even if they aren't automatic shoe-ins for the movie? There are only so many leading roles when it comes to the Teenage Mutant Ninja Turtles universe, so we don't necessarily have a wide berth in terms of casting opportunities. But I'm a dreamer, and since Hollywood loves taking liberties and reimagining scripts to appeal to a wider audience. So take a journey with me, if you will, into a land of wonder. A land where Michaelangelo, Donatello, Leonardo and Raphael are joined by award winning actors who just wanna hang out in sewers and eat pizza with mutant reptiles. Here are 7 actors you wouldn't expect to see in TMNT 2 but would be great at it anyway. Can you imagine how amazing this would be? Meryl Streep is the queen of everything, so imagine her sitting there, all refined with her thin, wire-framed glasses perched on the edge of her nose, a scarf draped around her neck... as she downs a pepperoni slice and high fives the turtles one by one. Are you getting chills? I am. I feel like Jack could've had the role of Master Splinter in the bag if, you know, Splinter was human (or if Jack spent like, 12 hours in makeup), but frankly, I'd just want to see him do anything with a bunch of CGI turtles. Wouldn't you? Benedict Cumberbatch is a great actor, but he's also a strange one in terms of the types of roles he takes on. Seeing a posh Englishman alongside a bunch of cowabunga-lovin' turtles would be interesting, to say the least, but I think he'd be up to the challenge. I feel like Judi Dench could play April's mom or something and become a major mentor to the turtles (I know they have one, but who wouldn't listen to Judi Dench?) and basically show everyone what it means to be a badass. Alec Baldwin is a wonderful comedic actor, and he's got the whole deadpan thing perfected to the point where his absolute seriousness in any circumstance is what becomes the funniest thing ever. I know TMNT isn't a full blown comedy, but it's certainly got comedic aspects, and Baldwin would be a welcome addition to the cast. There's no real reason behind my suggesting Kate Winslet for the cast other than that she's the best actress of her generation and I'd go so far to say as one of the Top 3 actresses alive right now. That's how much I love her. She's done every kind of role you can imagine, but one role she hasn't taken on is one that sees her acting besides life-sized mutant turtles. CAST IT! The Rock for every movie ever made forever, please. Imagine him in a fist fight with the turtles? It's almost to good to think about.